In the United States, cases of measles, a highly contagious respiratory disease, are at a 20-year high with 288 confirmed cases just between January 1 and May 23, 2014. The Centers for Disease Control (CDC) reports that 90% of these cases were in people who did not have the measles, mumps, and rubella (MMR) vaccine with 85% choosing not to vaccinate due to religious, personal, or philosophical reasons. Cases were clustered in diverse locations: roughly half of the cases in an Ohio Amish community, 60 cases in California’s Orange County and San Francisco Bay Area, and 26 cases in February in Upper Manhattan in New York City, spreading from a hospital waiting room. While cases are on the rise, roughly 10 million doses of the MMR vaccine are provided to Americans each year. The CDC recommends two doses of the MMR vaccine, one at ages 12-15 months and one at 4-6 years. According to a CDC report of the 2012-2013 school year, in 48 states and DC, 94.5% of students had both doses of the MMR vaccine, ranging from 85.7% in Colorado to 99.9% in Mississippi. For those choosing not to vaccinate, depending upon the state, there can be up to three types of vaccine exemptions: medical, religious, and philosophical. Of the estimated 4,242,558 kindergartners in the US, there were 91,453 vaccine exemptions. To increase the number of children vaccinated, some states are choosing to advocate for vaccines by proposing parental educational mandates. The question remains – which strategies are best at raising vaccination levels? The experiment was conducted as a nationally representative two-wave online survey. Participants were first asked: about the health of their children, agree/disagree questions to determine vaccine attitudes prior to the intervention, if they have ever postponed or refused a vaccine, how they view the personal importance of vaccines, and how they trust health professions and institutions. After the interventions, participants responded to questions to evaluate three outcomes: misperceptions of the vaccine-autism link, concerns about suffering side effects from MMR, and intent to have future children receive the MMR vaccine. According to Brendan Nyhan, the study found that when it comes to the Autism correction intervention, “beliefs and behaviors do not line up.” While the Autism correction intervention decreased participants’ views of the vaccine-autism link from 8.9% among controls to 5.1%, it had an unintended effect on the intent to vaccinate future children in participants with the least favorable vaccine attitudes, which dropped from 70% in controls to 45%. The effectiveness of corrective information, in Nyhan’s opinion, is encouraging, but at the same time highlights an unintended consequence of provoking people with the least favorable vaccine attitudes to find other concerns to defend their general views on vaccines. Results for the other three interventions were not much better. The Disease risks intervention did not significantly impact participants’ beliefs of the vaccine-autism link or concerns of MMR side effects. The Disease narrative intervention increased concerns of MMR side effects from 7.7% in controls to 13.8% and the Disease images intervention did not impact concerns of MMR side effects but raised beliefs of the vaccine-autism link from 8.9% in controls to 12.6%. The increases with the Disease narrative and Disease images interventions, according to Nyhan, were a result of making the adverse health consequences of vaccines more cognitively accessible. Overall, none of the interventions raised parental intent to have future children receive the MMR vaccine. This study found no strong positive evidence towards any of the four common public health interventions assessed but raised many questions in terms of future research. In a previous study conducted by one of the researchers, Dr. Gary Freed, participants rated their children’s doctor as the most trusted source of information on vaccine safety, bringing into question whether resistance to the information provided in the interventions was due to the credibility of the source and if pediatricians could be a particularly persuasive source. While Nyhan is skeptical that misperceptions of vaccines can be corrected through messaging from public health agencies, he encourages them to test the effectiveness of health messages on impacting both beliefs and behavioral intent prior to implementation, particularly among those with the least favorable attitudes. Ultimately, Nyhan believes the most effective approach consists of a combination of aiding pediatricians to be excellent advocates and assessing vaccine exemption policies at the state and local level, as the difficulty of acquiring an exemption varies by state. In some states, action has been taken to connect parents and healthcare providers. 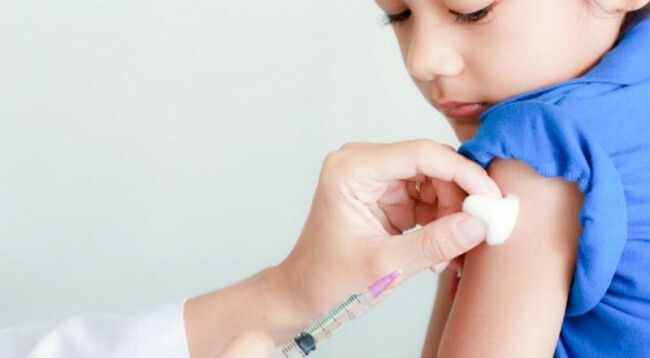 A law went into effect in Oregon in March 2014 that requires parents to consult a medical provider and sign a vaccine education certificate before exempting kindergartners from receiving vaccines. Prior to this law, according to the CDC, in the 2012-2013 school year, Oregon had the highest school vaccination exemptions for kindergarteners at 6.5%. Oregon’s law is similar to those passed in 2011 in Washington, requiring a health care provider’s approval for an exemption, and in 2012 in California, requiring a conversation with a healthcare provider about vaccine risks and benefits. However, California’s policy has been questioned as it provides an option for parents to not talk to a health care provider if religion prevents the parent from obtaining medical advice or treatment from a healthcare provider. Healthcare providers could play a crucial role in correcting vaccine misperceptions by providing vaccine information, but vaccines are a tricky issue. While the groups who are most likely to not vaccinate their children are diverse, in terms of religion, culture, socioeconomic status, and levels of education, among the groups, a common challenge exists in overcoming vaccine misperceptions. According to Nyhan, it is difficult to get people to change their minds because vaccine misperceptions are “linked to political beliefs or cultural value systems.” This is a challenge public health agencies must take into account in order to effectively advocate for vaccines at the state level, combat vaccine misperceptions, and ultimately increase vaccination levels.